New Year, New You...or so the saying goes, right? In January, we all make New Year's resolutions or set goals for self improvement. Do you think to do the same for your business? When you sit down to create a game plan for achieving your personal goals, set aside extra time to plan out the business goals you'd like to accomplish in the next 12 months. Not sure where to begin? We're glad you asked. These tips are sure to get you on the on the right track this year. How well do your website and business mesh? Your website should not only be an impressive reflection of your business, it should also match your social media presence, in addition to offline marketing materials. Maintaining consistency across all communication channels will help ensure your reputability. Is your messaging and voice consistent? Any communication your brand puts out should have the same tone, whether it be digital (website, social media, email) or traditional (mailers, print advertising). If someone is looking at pieces of your print and digital promotional materials, side by side without any logos, they should be able to tell it's written by the same company. If it's unclear, now is the time for an update. Are your pricing and services offered consistent? Take a sweep of your website, social channels, and any offline materials that references prices or services. Make sure everything is accurate across the board. Do your social profiles look similar? We don't mean posting the exactly same content on each social channel. They are separate for a reason. However, do your profile and cover photos match across each platform? Are your "About" sections consistent? Take a sweep of your accounts to make sure everything is true to your brand. Have a Responsive website design - If your website is not yet mobile friendly, put a plan in place to ensure it will be this year. By now, if your site isn't Responsive, it's likely hurting your business. Update your Local Listings - Do a Google search to check all listings, and make sure they are all both accurate and consistent. Anything you see that has wrong information, such as address, phone number, hours, and spelling of the business name, should be updated. While you're at it, make sure everything is updated on your Google My Business account, including pictures of your building. Claim your social profiles - We know that not every social media platform is a good fit for every business. And we would never tell you to stretch yourself too thin by having an active presence on every platform if the majority of your audience is only on one or two. However, you also don't want to completely ignore something that may be a viable option in the future. Create an account on the big networks (Facebook, Twitter, LinkedIn, Pinterest, Instagram, Snapchat) before someone else creates one in your name, and it's too late for you. If you need help achieving your goals for 2017, give us a call. We'd be happy to help you get there. 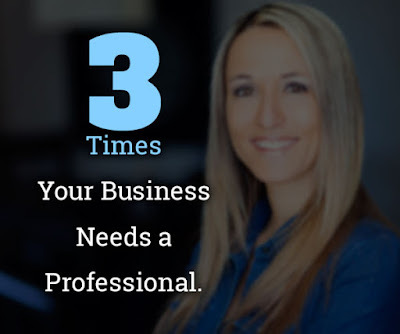 If you are a business owner, chances are there has been a time that you've asked yourself if you really need to hire someone to help you with a project, or if you can manage it on your own. While there is certainly a time and place for autonomy, there are also instances when you should hire a professional to ensure you work is just that - professional. When it comes to Marketing and your website, we have three times that your business needs to work with a professional in the field. With so many easy and cheap graphics programs out there, it may be tempting to do them yourself. There is a real artistry to graphic design, though. Invest the money in someone who is trained in the field and has the experience. Graphic Design Artists have a real eye for color palettes, clean and crisp images, and are good resources for staying current with industry trends. Save yourself the headache and hire a Graphic Artist for your design work. When you want to stay informed in your Marketing efforts, your best bet is to maintain strong relationships or partnerships with a consultant. Consultants will share knowledge about on industry regulation changes or standards updates to keep you in the loop on news you may not otherwise know, or have the time to research on your own. These partnerships can either keep you ahead of the game (and your competition!) or ensure your site stays up-to-date, keeping it both secure and working properly. The world and rules of Internet Marketing and Advertising changes every day. If you've ever followed Search Engine Land on Twitter, you'll know what we're talking about. It can be hard to keep up on the constant evolution of Google alone, not to mention other players in the Search game like Yahoo or Bing. We know just how big of an undertaking SEO is; we have someone in house whose job is dedicated to managing campaigns and staying current with the daily updates. There are so many components to maintaining an SEO campaign. Instead of trying to tread the waters solo, trust someone to know how to maneuver the components in a way that results in success for you. 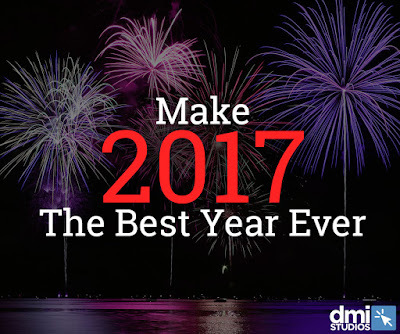 Here at DMI, we not only work to provide services to our clients, but also the knowledge needed to keep their business successful. We make sure to have open lines of communication to keep our clients informed of new standards, social and search algorithm updates and changes, and new areas of focus for search engines to keep all campaigns running smoothly. We also work in a rebranding capacity, assisting clients with logo changes and re-defining their vision or brand. If you're in need of help with graphics, SEO, or other Marketing initiatives, drop us a line and we'd be happy to discuss your efforts. With Thanksgiving right around the corner, we would like to take a minute to say just how thankful we are for all the clients we've had over the last 20 years. We could not have done it, nor would we be where we are today, without each and every one of you. Thank you for the great partnerships! Keep being awesome. While it is great (and encouraged!) to let your clients know your appreciation this time of year, don't let the holidays be the only time your customers hear it. It is important that you show your appreciation all year long. Strong businesses are built on strong relationships. Showing your customers just how much you appreciate them is a surefire way to maintain their business and loyalty. Not sure how to express it? We've got you covered. Here are three ideas to get your creative juices flowing. If you are a B2C company, offering discounts or exclusives to your customers is bound to excite them. Consider providing exclusive or limited edition items to Rewards members, customer appreciation sales, or coupons/promo codes for your store. Our friends at Door County Coffee have really nailed this. They invite their customers to enter in product giveaways and promote sales codes for their customers to purchase their products at a discount. If you run a B2B company, consider offering referral bonuses to your customers. If they send other businesses your way, offer your clients a percentage off their next purchase or their next service. At DMI, our clients are so much more to us than just a sale and we want them to know it. If you look at your customers with dollar signs in your eyes, or if you are constantly crunching their numbers, your relationship will never flourish. When you work to truly further their success, and not just to make a profit, you can develop a very positive partnership. For example, our Account Executives often suggest Social Media and Marketing tips and tricks to our clients "on the house" (we also never charge to talk with your AE). By giving advice such as "only post teasers to an article on social media and a link to your website," we can help them develop strong content to boost engagement, grow their following, and drive traffic to their site. In our very digital world, there is no better way to give or receive props than on Social Media. When you send a shout out to your customer, you build a stronger relationship with them, you provide them with free advertisement to your followers, and start a conversation with both audiences. Social Media is great not only for giving deserved accolades after an achievement, but is also a great way to promote any upcoming events they have. We recently promoted an event on our Facebook page that two of our clients had collaborated on. By sharing the Old Glory Honor Flight fundraiser at Polly's Pumpkin Patch, the reach for both organizations was expanded to people who may not have known about the event or what either organization does in the community. Thank you again to our clients for all the incredible partnerships. We are excited for them to continue growing! 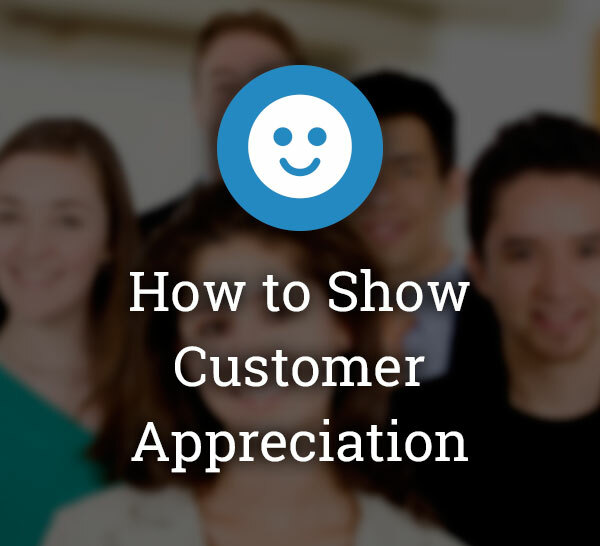 We'd love to know - how do you show your customers your appreciation? Looking to improve your business? Finding a mentor in biz and in life is difficult to do. A brand should always be challenging itself and growing. Successful stories are essential in showing us the direction we should go. Whether you're a restaurant or a tech startup or any brand in-between, this absolutely applies! It is so easy to add new products or services because there *may* be money, or a market, or opportunity there. But if a brand is pushing themselves out of their core competency, they may be risking too much for perceived new income. An example: Ever head of a Mexican restaurant that sell hamburgers and chocolate shakes? And cheese cake? Maybe people say they'd like to see it on the menu. Maybe the chef does make a good cheese cake. But before adding anything new, scrutinize if it is within your brand's true identity. Or are you simply stretching to become all things to all people? Lesson from Apple: Apple creates products products within only four categories: computers, phones, tablets and personal devices. That's it. They're not creating high-tech blenders or calculators. They know what they do better than anyone else, and stick to those categories. This adage works whether you're selling a product or a service or a little bit of both. The economy is shifting away from consumers who are entirely price conscious. Consumers want to get a great price, but they're willing to spend more for a top-notch experience. An example: Say you are a clothing boutique that has a solid base of loyal customers. Why not branch out and seek ways to further serve them? Maybe partner with a high-end hair salon for loyalty rewards? Or, find a great niche shoe store that would be a great fit with your customers. Find a way to go above and beyond and make your customer's experience something to remember. Have you thought to ask your customers how you can improve? Lesson from Apple: Apple was the first to come out with computers in different colors. Apple was the first to come out with an MP3 player that was so-very-much-more. The tech behemoth tries to envision what their customers would want and then go a step or a leap past those expectations: always go one better. It is important to listen to what your customers and the public in general, say about your product or service, or a product/service in the same category as yours. Though you should never become always-shifting and changing as public opinion morphs. An example: We'll journey back to the Mexican restaurant that serves hamburgers and shakes. Maybe they had a few customers that claimed they would like to see these on the menu. Maybe other Mexican restaurants are going in the same direction. Before adding items that are not in your core competency to your line-up, a lot of soul-searching is required. Is this the best decision in the long run? Is this the best representation of our brand? Lesson from Apple: Prior to every product launch, news outlets love to interview people to find out what they'd like to see in the new iPhone or iPad. Some of the suggestions make sense. Some are obviously way too out there. For example, an infrared camera to see in the dark. Or, apps to control household appliances. Maybe these things will be important in the future, but right now, they would be features very few would use and value. Pricing of a product/service is always a difficult subject. The best route is to price for value, whenever possible. An example: Sales are booming at your marketing firm, though you've had a few comments that pricing could be lower. After all, your competitors offer lower prices. And free coffee mugs. It is important not to get caught up slashing prices. If your customers see the value of your offering, then price should not be their primary concern. There will always be a lower-price option out there. If they are beginning to think about pricing, maybe it's time to reevaluate the level of value you are giving. Lesson from Apple: While there is a flurry of low-price competitors in the marketplace, Apple's products remain priced for value. Many people complain about the price of a new phone, but Apple has a strong grip on marketshare across all of their product categories. We bet you never thought you could draw so many parallels between your brand and Apple. The tech giant has a lot to teach us about doing business smarter. We just need to take the time to listen. Marissa Mayer's strategic plan for innovation at Yahoo! has been to acquire 20 start-ups in just over a year. Sometimes she did this to acquire technology and sometimes it was the people behind the tech that caught her eye. Your small business may not have the assets that Yahoo! has to "Innovate through Acquisition" but that doesn't mean you should just forget about innovative thinking entirely. How can your business innovate like Melissa Mayer? One way to acquire innovative ideas and skills is to invest in people. Hiring someone new to be a part of a group that has worked together for a long time may be a great way to raise the bar. When looking for someone to add to your staff, set your sights high and look for someone that is driven and creative--no matter if they are a programmer or a customer service rep. Exceptional people are out there! You just need to actively find them. When was the last time you sprung for the sales team to attend a leadership seminar? Or funded your IT team to attend a conference? Nothing gets people fired up more than spending time with innovative thinkers. When was the last time you made that possible for your team? Staff development seems like a running joke. Team building and trust exercises might be your thing, but your staff probably isn't looking for something along those lines. How about taking your team to a movie? Or buying everyone lunch--and then enjoying lunch together as a team. Friend your employees on Facebook or follow them on Twitter to see what their interests are and then foster those interests. Maybe a bunch of them like zombie movies. Maybe a family picnic is more their style. Whatever it is, seek out an opportunity to thank your employees for their dedication and hard work. You'd be surprised how different Monday morning will be. While you may be the CEO of your small business, your faithful employees probably have valuable ideas of their own. One of the most difficult things for a business owner to do is to keep their opinions and justifications to themselves while employees are talking about their desires, dreams and visions for your company. After all, the company is your baby, we get that. But you're all bringing up baby together. Often, the best results come from collaboration. Ideas, opinions, and dreams can be explored and it doesn't mean your business won't be the same anymore. Dare to listen to your staff. The results just may surprise you. When working on your business and brand is a full-time job, sometimes, it can blur your view of things. Nothing helps clear vision like an outsider's point of view. You see the same walls, the same signage, the same processes everyday and may overlook them all. But, to an outsider, everything is new. They may help you to see inconsistencies in your product, your service or your brand. Seek out outsiders and welcome their ideas. Marissa Mayer's innovative thinking is really shaking things up for Yahoo! Innovative thinking can really help your business to succeed. Are you ready to take the plunge? We'd love to hear about it on our Facebook page.